I'm so excited to be partnering with Earthbound Farm and FeedFeed to bring you what I'm calling a "hangry girl" chopped salad! I don't know about you, but after a long day at the office, I'm ready to rip my kitchen apart, possibly chew off my own arm, and eat all of the carbs in sight! 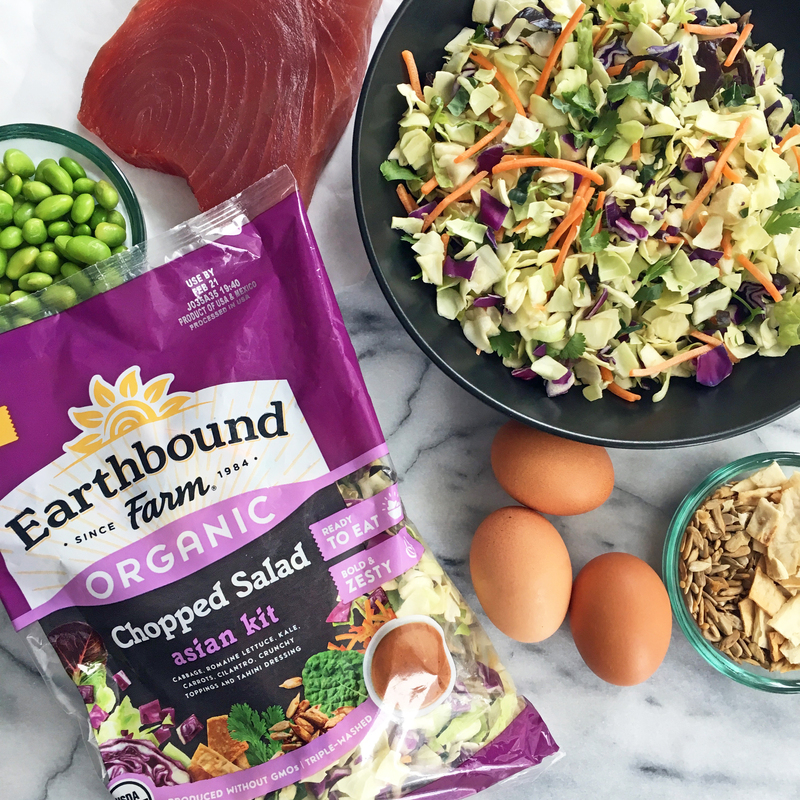 So you can imagine my delight when I discovered the new organic chopped salad kits from Earthbound Farm. Earthbound Farm has such an incredible story - they started back in 1984 with just 2.5 acres of land and today, they organically farm more than 50,000 acres! 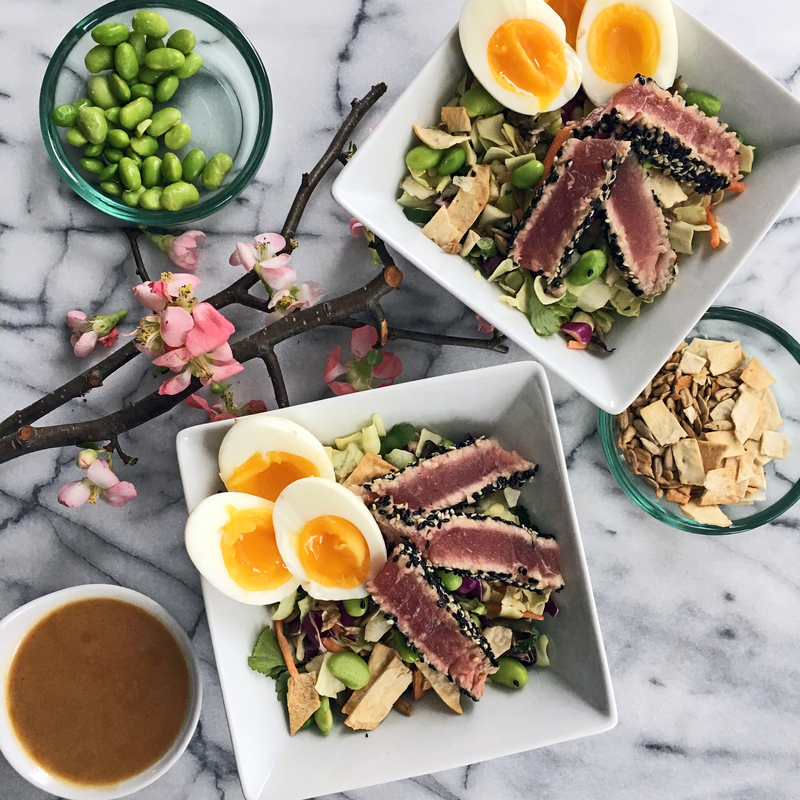 While I used the Asian Chopped Salad kit in this recipe - it also comes in Southwest and BBQ Ranch - I am sure any of these kits would work equally well in this recipe! My goal was to get a 30 minute dinner together, and I'm excited to say your hanger will be satisfied! 1 Tuna Steak (Ahi or Yellowfin - your choice), approx. 10 oz. 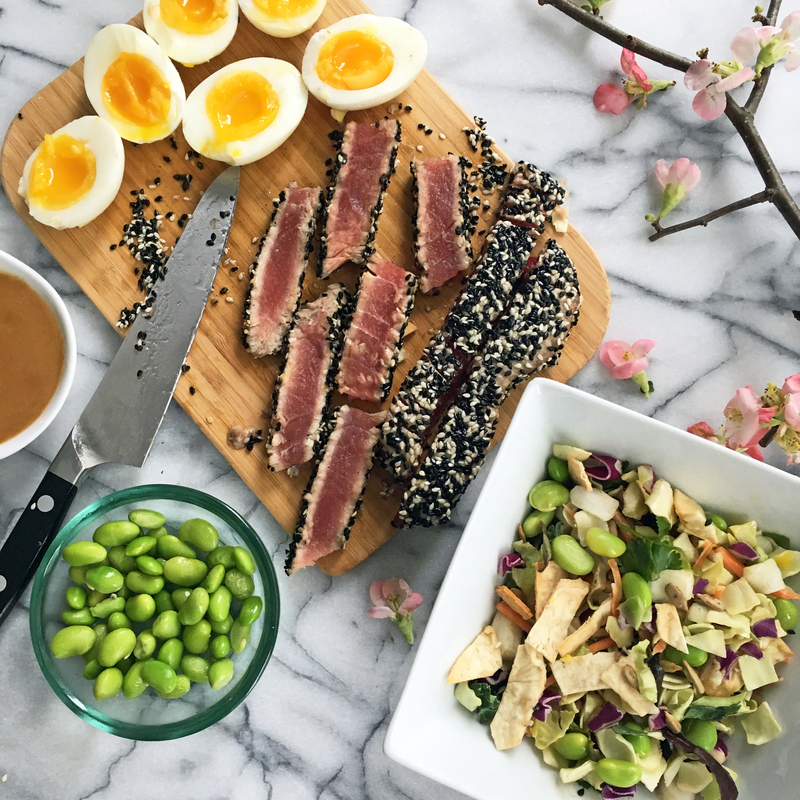 Now, the salad dressing is absolutely delicious, but with the seared tuna, I though it would be nice to heat it up a little before serving. Drizzle with dressing, and devour!